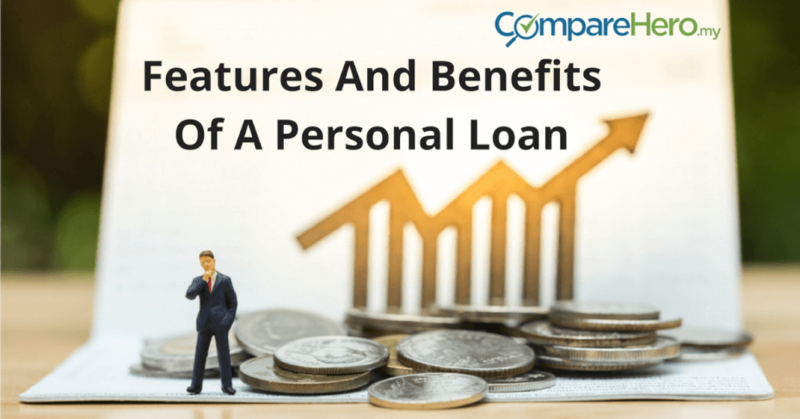 These are the most common uses of a personal loan with their features and benefits. You try your best to save for times when you need money, such as for medical emergencies or even for more predictable expenses like your child’s school fees, but sometimes, your savings just fall short. So, what do you do in times like these? You have several options when you’re short of cash and one of your options is to get a fast approval loan. If you’re in urgent need of financing and cash, or need to pay for an emergency and a standard personal loan application will take too long, then a fast approval personal loan could be the right solution for you. These loans can be disbursed to your account from as quick as 24 hours to 2-3 working days. For instance, RHB offers the RHB Easy personal loan which can be immediately approved for loan amounts between RM2,000 to RM150,000. All you need is to bring your NRIC to the RHB branch. However, it has a pretty high interest rate of 13.75%, so while it may be easier to get the personal loan, it comes at a higher cost. This loan type is great for those who may require urgent financial assistance with a lower monthly income. For example, the RHB Easy-Pinjaman Ekspress requires a minimum income of RM1,500 per month. And the best part is it only takes 10 minutes to approve. This loan type usually comes with higher interest rates, and you may need to pay a one-time 0.5% stamp duty fee when you apply for the loan. There may be other fees involved such as a RM200 early settlement fee. Like government servants, GLC employees are entitled to enjoy benefits when it comes to loan applications such as lower interest rates, longer tenure and in some cases, even rebates. So it really is worth your time to do some digging and find out if the company you’re working for is registered as a GLC in Malaysia. A civil servant / government personal loan is firstly, provided by a trusted bank. Secondly, the personal loan is designed especially for government workers and for employees at government linked companies (GLC). You might also hear of GLC loans, which is the same thing. Some of the benefits include below market interest rates and automatic salary deduction via Biro Angkasa. These loans provide affordable financing options suited for civil servants or government linked employee’s income levels. Instead of having to repay the loan through your own banking transfer, government loans are usually auto-deducted from employee’s monthly salaries. Some banks may require a letter from your employer confirming that you are a public-sector employee, or that you work with a GLC. Currently, most civil servant / GLC loans are available with Bank Rakyat, BSN, Public Bank, RHB and Bank Islam. 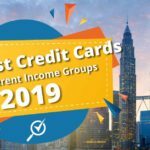 Most banks will require you to be a Malaysia Citizen or Permanent Resident, a government servant or selected employees of government-linked companies (GKCs), at the age of 18 and above (but not over 60), with a monthly gross income of RM1,000 or more. Proof of identification, income, and residence must also be submitted to be approved for a personal loan. Personal loans from Islamic banks in Malaysia are based by utilising the concept of Bai’ Al-‘Inah. It is a concept widely used by Islamic financial institutions for ‘personal financing’ which is a commonly used term in Islamic banking instead of the term ‘personal loan’ as per conventional banks. Bai’ Al-‘Inah is a concept which involves the selling and buying back transaction by a seller (bank) on a deferred payment basis. A seller will sell to a buyer (client) on a cash basis. The seller will later buy back on a deferred payment basis where the price is higher than the cash price. It can also be applied when a seller sells to a buyer on a differed basis. A seller will later buy back on a cash basis at a price which is lower than the deferred price, thus the transaction amounts to a loan. In personal financing, the asset involved in the Bai’Al-‘Inah concept of buying and selling would be the cash. Islamic financial institutions will then charge customers an amount known as ‘profit rate’ for providing them with a personal financing facility. Again, this is because charging interest is not allowed in Islamic banking. So unlike personal loans offered by conventional banks, Islamic banks will offer personal financing with a profit rate that will be defined in the personal financing contract. Aside from the Bai’Al-‘Inah concept some Islamic banks use the Shariah principle of Murabahah via Tawarruq for personal financing. By definition Murabahah is a type of sale where the commodity is sold for cash or deferred price. Tawarruq refers to purchasing an asset with deferred price and then selling it to a third party to obtain cash. 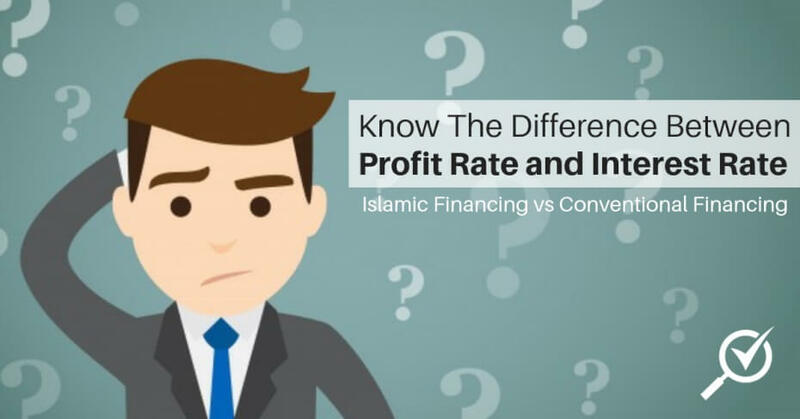 The key difference between Islamic financing and conventional loans is the method by which the bank makes its profit. With conventional loans, banks tend to make their profit by charging interest on the loan amount, also known as the principal amount. The monthly repayments made by the borrower goes to servicing the interested, but also to pay down the principal amount. However, Islamic financing is prohibited from structuring their product with interest rates (riba). Instead, the Islamic banking principles revolved around the buying of a commodity on the borrower’s behalf, and selling it back to the borrower at profit. This profit rate replaces the interest rate that conventional loans charge. Profit rates can be fixed or floating. If you’ve ever had to manage multiple credit cards or loans at the same time, you know how stressful it is to pay off your debts and keep up with the monthly repayments. It’s also hard to keep track of all the different instalment amounts and deadlines. However, one method to lower your monthly commitments is to consolidate all of them into one simple and easy to manage debt consolidation personal loan. A debt consolidation loan is a type of loan that you take to consolidate or combine different loans. For example, if you owe RM8,500 and RM6,500 on two credit cards, plus another personal loan of RM10,000, you can simplify these three separate debts by consolidating and paying for all of them in one RM25,000 loan. When you take out a personal loan to refinance or consolidate your existing credit card or other types of debt, you have to realise that you’re only moving the amount you owe to a different account. Only consider refinancing with a personal loan when it means lowering the annual percentage rate of your credit card debt, mortgage, car loan, or other debt. While it’s important to look out for a lower interest rate, you must also be sure that the all your other fees will make it worthwhile include early repayment fees and late payment fees. This way, the total amount you’ll be paying will be considerably lower than your original debt’s APR. If you have an outstanding balance on more than one debt, then do consider taking out a personal loan to consolidate all payments. It will be easier to concentrate on one loan repayment than managing several repayments at once. How much is the total amount of debt? How much interest and late fee charges are you paying on your existing debt? What do you have to do to pay it off in 2-5 years? What is the loan tenure and fixed monthly repayments? How much is the interest rate? Which bank offers you the best service? 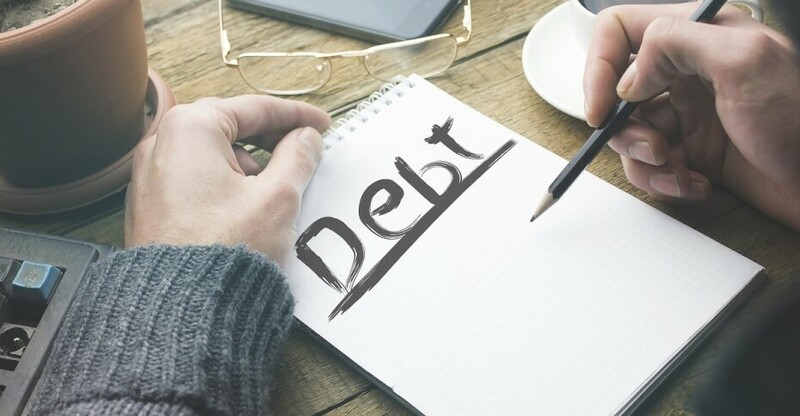 Once you have consolidated your debts and started repaying them, always remember, this isn’t about rolling over old debts into a brand new one – it’s merely the first step to fixing your finances. Start by committing to a strict monthly budget, cut any unnecessary expenses and invest in an emergency fund for the future. Whether you want to make home repairs, remodel, buy new appliances, install a pool or just furnish your house, a personal loan makes it easy to finance any home improvement. There are specialised home loans geared toward home improvement, but lenders would usually have a higher interest and APR rate for these specific loans than personal loans. Home improvement loans specifically would also require you to submit more papers: your improvement plans, official receipts, and so on, before they can release the money to you. Getting a personal loan, however, and then using it for home improvement gives you a more manageable interest rate and APR, and you can have a hassle-free application as well. Before you decide on using a personal loan for your home decoration needs, ensure you understand how a personal loan works and the type of interest rates available in the market. The best method for financing your home renovation will depend on your financial situation. A personal loan is unsecured meaning your home or any other asset will not be used as collateral. You won’t have to worry about your home being repossessed. You enjoy fixed rates and a fixed payment schedule rather than using your credit card. Enjoy financial flexibility as you can use the money from your disbursed loan on anything you want for the house. Should you consider a personal loan to fund your next dream holiday? It can be a great solution for extra funds, and while it may not fund your holiday entirely, it can help to alleviate some of the costs. It’s easier to keep track of your finances and budget your money. You know exactly how much you need to repay the bank for your monthly instalments and for how long. Aside from these benefits however, it’s always a good idea to ensure you choose the personal loan wisely. Do your research and read the terms of the personal loan carefully so you know about any other clauses, fees, and charges – including penalties if you make late payments. Are Your Debts Holding You Back From Your Dreams? 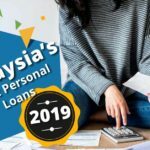 When a study loan like a PTPTN loan is no longer applicable, a personal loan can be a great solution for Malaysians seeking to further their education. Furthering your education and improving your skills are vital for advancing your career in highly competitive markets. You might have worked a few years in your job but feel the need to undertake a Masters to push your career growth further. In this case, you’ve decided to go back to school to upgrade your skills. However, professional certifications can cost thousands of dollars. This is when a personal loan comes in handy! Building your wealth is a key step to financial freedom, but at times we may not have enough cash to invest. At what point is it a good idea to invest with borrowed money? Using a personal loan to jumpstart your investments can be a good option provided you know what you are doing and are able to manage the risks. However, we strongly advise against doing this. The loan that you take out could be higher than any amount of returns you gain from the profits of your investment. The interest payments will pressure your rate of return and your risk exposure grows immensely. For example, let’s say you were able to generate a 7% annual return on your investment but your annual effective interest rate on your RM90,000 loan is actually 8% instead of 5%, you will actually make a -2% loss instead of a 25% gain! You need to consider the interest rates that you will need to pay on the loan from the banks. Earning high returns on your investments won’t do any good if you have to hand a big chunk of it back to the bank. If the loan’s interest rate is more than half of the investment’s average return rate, you won’t be earning much money. You also need to ensure you can afford to make the loan repayments given that your investments will not prove returns so quickly to finance the loan you have taken. This is particularly important if you have other loans to finance such as student loans or property loans. Ensure you do your research before investing to know what you’re getting into, especially if you’re using borrowed money. While you may not use a personal loan to withdraw enough money to buy a property, much like a secured mortgage loan allows you to do, you can use a personal loan to facilitate your property purchase. This includes using it to finance the down payment on your home or even to finance all the fringe costs that come with buying a home including stamping duties, processing fees, property tax, maintenance fees and to repay the monthly instalments on your mortgage. However, taking on more debts for a property loan can be tricky, so be sure you are financially stable and able to take on the number of loans. 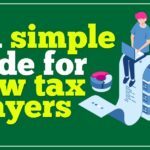 Which Type of Housing Loan Should I Get? If a business loan is not available to you, getting a personal loan is the next best thing. If you’re a first-time business owner or starting up a franchise, getting a personal loan can help you get the seed money for you to start up your business. Personal loans are unsecured loans so you won’t have to list your business as collateral: that’s one less worry for you in the long run. For startup founders or first-time small business owners, it’s hard to access financing to get your business venture off the ground. If you can’t secure the capital you need to grow from traditional financing sources, then you might find your business in a financial bind. A personal loan is a great solution for you and your business if you are not eligible for a business loan. Most banks are skeptical to provide funding to a business that has not proven its success for at least 5 years. It is also a good option if you don’t have enough collateral to offer the bank as a form of security. Just to ensure that your business can run for the first year, you need to gather funds that can last the business for at least six months before it can start registering positive cash flow to support operating costs and in turn, creates working capital to keep it going. 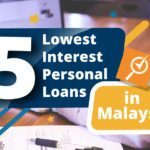 Most of the personal loans in the market allow you to borrow up to RM150,000, depending on your income level. 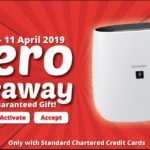 For example, HSBC Amanah Personal Financing-I offers a monthly repayment from as low as RM134 at a flat rate of 7% and for a repayment period of up to 7 years. 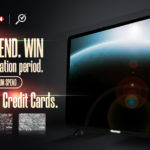 However, if you have a healthy credit record in the system as a good paymaster, banks are more willing to offer these products at lower rates. Remember to negotiate with the providers if this option is available for you. If you have a partner for your business, be mutually transparent with each other and put the loan under both names. Alternatively, you can split into two loans with your partner and gather the funds after the successful loan’s approval. 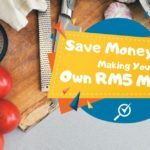 How You Can Start An Online Business With Less Than RM10,000! A car is one of the biggest purchases you can make, going a long way into making your daily commute and leisure trips more convenient. However, not everybody can afford to just drop cash on a car like they would for a Starbucks frappuccino. When the money in your bank account is not enough to cover the full list price for your dream car, your only other alternative is to go for car financing. In many places, banks and car dealerships provide car loan options tailor-made for paying off the cost of your vehicle. Most car dealers have their own in-house financing schemes, but these tend to be higher when compared to more competitive prices of bank loans. Less widely known is the option of taking out a personal loan, usually offered by banks for a wider range of expenses ranging from a new house to vacations abroad. So, should you go for a car loan or a personal loan? In either case you would need to pay attention to vital details like the cost of your monthly payments, interest rates, and payment terms. Usually, the first thing you look for in car financing is a monthly payment/ interest rate combo low enough to fall within your budget. If you know the price of the car and desired tenure, the CompareHero.my funnel also calculates your monthly cost. Never dive into a deal without factoring in the actual full amount you’re paying for your intended vehicle. Payment terms are also an important factor: you may be tempted to go for a longer time period so you would pay lower monthly fees, but a shorter term means you pay less piled-up interest over time. Would you stay comfortable paying the same rate for the same vehicle five to seven years in, when the “new car” high has long worn off? No matter what kind of loan you apply for, it’s important for you to shop around for lenders with better prices or more flexible terms that work with your current income. 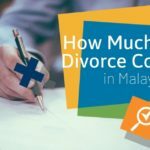 The cost of living in Malaysia continues to rise, along with all medical-related expenditures. That of course includes the price of medication, private clinic and hospital consultation fees, insurance premiums and even health supplements. If you don’t have medical insurance and you find yourself in need of additional funds to pay medical bills, a personal loan can help. Taking out an unsecured personal loan for paying medical expenses can provide a low-cost alternative to running up your credit card balances to pay for medical expenses. It’s no secret that weddings can be expensive. It’s even more true when you have a traditional wedding, complete with dowries, traditional performances, and all the (wedding) bells and whistles. Having more than one reception can be very draining to the wallet as well. With a personal loan, you can finance have the wedding you want, but do remember that you will have to repay your monthly instalments until you repay your entire debt. Make sure your loan amount is within your means, and we encourage you to take a personal loan to fund your wedding only as a last resort. No idea where to apply for a personal loan for your wedding plans? Visit CompareHero’s Personal Loan page to find and compare the different personal loan plans available to you. The page also lets you apply for a loan online with ease. It’s possible to enjoy rather costly hobbies, if you know how to manage your budget. We’re talking about hobbies like diving which requires you to buy expensive diving gear and the certification doesn’t come cheap either; photography which comes with the cost of expensive cameras and lenses; and even building our own aquarium at home which requires maintenance. In some cases, it might take a bit of sacrifice—meaning, cutting back on some expenses to give way for other priorities. But if you can afford it, a personal loan is a great financial tool to help you continue to enjoy your passions and hobbies. If you need additional fund to buy new equipment and intend on repaying it quickly in a few years, a personal loan can be the solution.